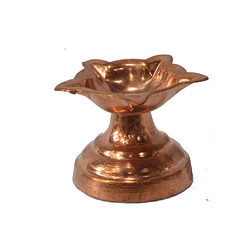 We are leader in manufacturing and trading of all types of Copper Pooja Items. 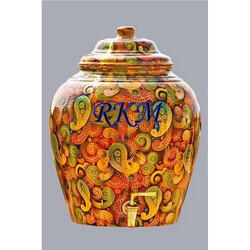 Storing water in a copper vessel creates a natural purification process. It can kill all the microorganisms (molds, fungi, algae and bacteria) present in the water that could be harmful to the body and make the water perfectly fit for drinking. In addition, water stored in a copper vessel, preferably overnight or at least for four hours, acquires a certain quality from the copper. Copper is an essential trace mineral that is vital to human health. It has antimicrobial, antioxidant, anti-carcinogenic and anti-inflammatory properties. It also helps neutralize toxins. Unlike some nutritional elements, the body cannot synthesize copper, so you need to get it from dietary sources. The best dietary sources include seafood, organ meats, whole grains, lentils, nuts, seeds, chocolate, cereals, potatoes, peas and some dark green leafy vegetables. Drinking 2 to 3 glasses of water that has been stored in a copper vessel is another easy way to supply your body with enough copper. According to Ayurveda, drinking copper-enriched water first thing in the morning on an empty stomach helps balance all three doshas (Kapha, Vata and Pitta). This also ensures proper functioning of different organs and several metabolic processes. 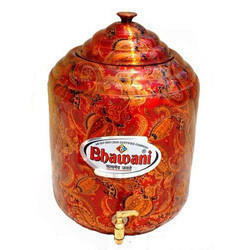 Copper Storage Tank with Brass Tap are wide used for storing and Drinking water. 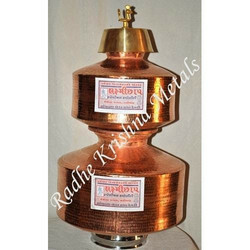 It is approved by Doctors that copper is very good for health. 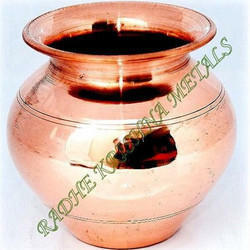 We are dedicatedly involved in trading a wide array of Copper Water Storage Matka Set in accordance to client’s requirement. 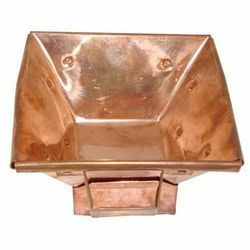 Aimed at prosperous growth in this domain, we are instrumental in trading an excellent quality range of Copper Pooja Plate. 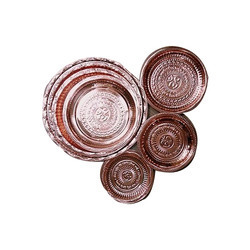 Copper Bujara Dunga Set is used to put on any type of Matka. It is generally used by Muslim Cast. 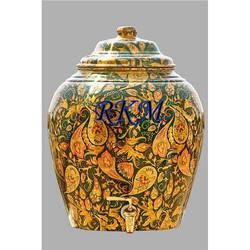 We can also provide it with Kallai. 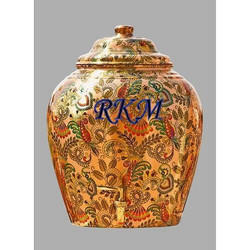 Kallai is of white color, it is just like crome on this product. 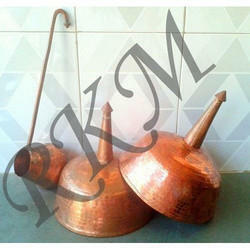 We are a foremost organization in the industry and actively engaged in trading the best quality range of Copper Lota. 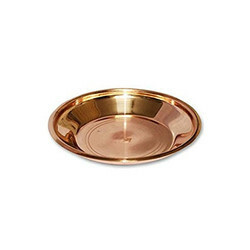 We are the prominent company that is engrossed in trading a premium grade of Copper Thali Lota Set. 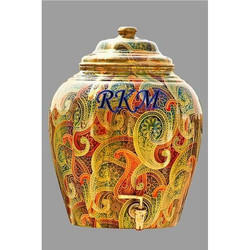 It is a ritual product used at the time of Puja and Hawan. Packaging Details: Master cartoon consists of 12 pieces. 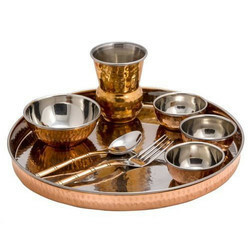 We are a top notch supplier of Copper Thali Set.